Continuing Education – Lois Abromitis Mackin, Ph.D.
15 January 2019, Margaret R. Fortier, Visualizing Information for Genealogists (webinar), Board for Certification of Genealogists/Legacy Family Tree Webinars (one hour). 17 January 2019, Todd Pattison, Preserving Your Family Treasures (webinar), New England Historic Genealogical Society (one hour). 25 January 2019, Elissa Scalise Powell, Patriot or Not? Using the Genealogical Proof Standard on a Closed DAR Line (webinar), Legacy Family Tree Webinars (one hour). 6 February 2019, Shellee Morehead, DNA and the GPS Solves a Mystery: Hamiltons in Colonial New England (webinar), Legacy Family Tree Webinars (one hour). 13 February 2019, Blaine Bettinger, Reconstructing Your Genetic Family Tree (webinar), Legacy Family Tree Webinars (one hour). 19 March 2019, Debra S. Mieszala, The Five-Story Fall: Correlating Indirect and Direct Evidence to Extend the Pedigree (webinar), Legacy Family Tree Webinars (one hour). 17 February 2018, Ed Gilbert, RCSI, The Irish DNA Atlas (recorded lecture), Genetic Genealogy Ireland (one hour). 19 February 2018, Blaine Bettinger and Karen Stanbary, Genetic Genealogy for Professionals (webinar), Association of Professional Genealogists (one and a half hours). 28 February 2018, Jennifer Holik, Finding the Answers: the Basics of WWII Research (recorded lecture), RootsTech 2018 (one hour). 19 March 2018, Blaine Bettinger and Karen Stanbary, Genetic Genealogy for Professionals: Research Reports (webinar), Association of Professional Genealogists (one and a half hours). 21 March 2018, Geoff Rasmussen and Ran Snir, Hands-On with MyHeritage DNA (webinar), Legacy Family Tree Webinars (one and a half hours). 17 April 2018, Patti Lee Hobbs, Better Together: Making Your Case with Documents and DNA (webinar), Legacy Family Tree Webinars (one and a half hours). 21 April 2018, Irish Virtual Conference: Gillian Hunt, Church Records for Irish Research (one hour); Fiona Fitzsimons, Finding Women in the Irish Records (one hour); Chris Paton, Irish Land Records (one hour); Maurice Gleeson, Online Resources for Irish Research (one hour). 3-4 May 2018, National Genealogical Society Conference, Grand Rapids, Livestream: LaBrenda Garrett Nelson, Reasonably Exhaustive Research of African American Ancetors Who Came out of Slavery (one hour); Terry Koch-Bastic, The Price of Loyalism: American Loyalists in the Revolutionary War (one hour); Diahan Southard, The Y-DNA Test Should Be Your Favorite(one hour); Angie Bush, Your Cousins Are Your Secret Weapon (one hour); Blaine Bettinger, Native American DNA: Separating Fact from Fiction (one hour); Angela Packer McGhie, History, Records, and Context: Researching the Locations Your Ancestors Lived (one hour); Elizabeth Shown Mills, Samuel Witter vs. Samuel Witter: Separating Same-Name Soldiers, War of 1812 (one hour); Thomas W. Jones, Using Indirect and Negative Evidence to Prove Unrecorded Events (one hour); Judy G. Russell, A Matter of Standards: DNA and the GPS (one hour); Elissa Scalise Powell, Deeper Analysis: Techniques for Successful Problem-Solving (one hour). 15 May 2018, Board for Certification of Genealogists webinar: Paula Stuart-Warren, Developing Successful Research Habits (one hour). 31 May 2018, Southern California Genealogical Society, DNA Day Livestream: Paul Woodbury, From Chance to Design: Planning for Successful Genetic Genealogy Research; Leah Larkin, When Your Tree is a Banyan: Untangling Endogamy in Your Family History; Michael Lacopo, Using Y-DNA Testing for Advanced Genealogical Problems; Tim Janzen, Getting the Most from Your Autosomal DNA Test Results; Angie Bush, DNA Testing and Mirror Trees; Blaine T. Bettinger, Shared Matches and Genetic Networks (six hours). 11 July 2018, Jeanne Larzalere Bloom, The Art of Negative Space Research: Women (webinar), Legacy Family Tree Webinars (one and a half hours). 9 May 2018, Unlock the Past in Seattle, livestream: Maurice Gleeson, Tracing Your Immigrant Ancestor to Ireland–a Strategic Approach, Challenges with Irish Genetic Methodology, Newspapers Gravestones & Probate Records, Navigating Irish Birth Marriage & Death Records; Wayne Shepheard, Genealogy and the Little Ice Age; Cyndi Ingle, The Hidden Web, Digging Deeper; Blaine Bettinger, Phasing and Mapping Your DNA (seven hours). 15 October 2018, Association of Professional Genealogists webinars: D. Joshua Taylor, 20 Essential Tips for Genealogical Speakers (one and a half hours). 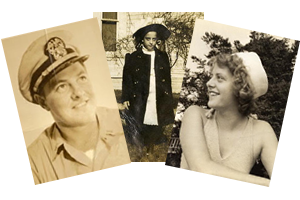 19 October 2018, Joy Reisinger Memorial Lecture Series, recorded webinars (Legacy Family Tree Webinars): Elissa Scalise Powell, Deeper Analysis: Techniques for Successful Problem Solving; Tom Jones, Using Indirect and Negative Evidence to Prove Unrecorded Events; Judy G. Russell, The Discriminating Genealogist: Telling Good Evidence from Bad; Jeanne Bloom, Past Conflict Repatriation: the Role of Genealogists and Methodology in Fulfilling Our Nation’s Promise; Rebecca Whitman Koford, John Jacob Kramer: a Case Study of Mistaken Identity among Revolutionary War Soldiers (five hours). 28 November 2018, Paula Stuart-Warren, Railroad Records and Railroad History: Methods for Tracking (webinar), Legacy Family Tree Webinars (80 minutes). 4 January 2017, James M. Baker, Strategies to Find the Most Challenging Ancestors with Autosomal DNA Data (webinar), Family Tree Webinars (one hour). 21 February 2017, Karen Stanbary, Weaving DNA Test Results into a Proof Argument (webinar), Board for Certification of Genealogists/Family Tree Webinars (one and a half hours). 26 April, 6 June, 28 June 2017, Dr. Euan Roger, Reading Old Documents: Introduction to Medieval and Tudor Palaeography I, II, III (webinars), The National Archives of the UK (three hours). 3-31 May 2017, Robert Charles Anderson, Elements of Genealogical Analysis: a Class in Methodology (online course), New England Historic Genealogical Society (seven hours). 16 May 2017, Debbie Parker Wayne, MAXY DNA: Correlating mt-at-X-Y DNA with the GPS (webinar), Board for Certification of Genealogists, hosted at Legacy Family Tree Webinars (one hour). 18 May 2017, Ann Lawthers, Resources for Pennsylvania Genealogy (webinar), New England Historic Genealogical Society (one hour). 20, 24, 27 May 2017, Blaine Bettinger, Visual Phasing: Mapping DNA to Your Grandparents (online course), Virtual Institute of Genealogical Research (seven hours). May 2017, NGS 2017 Livestream Selections (recorded conference lectures), National Genealogical Society (ten hours): Blaine Bettinger, Using Third-Party Tools to Analyze Your Autosomal DNA; Angie Bush, The Genetic Genealogy Revolution; Judy G. Russell, DNA and the Hidden Half of the Family; Diahan Lyn Southard, Five Tips to Make Sense of Your DNA Testing; Diahan Lyn Southard, When You’re Not Who You Thought You Were; Michael Hait, One Dollar and Natural Love and Affection: Analyzing Deeds Deeply; Thomas Wright Jones, Converting a Bunch of Information into a Credible Conclusion; Barbara Vines Little, Recreating Your Ancestor’s Neighborhood; Gail Jackson Miller, The Genealogical Proof Summary: What It Is and Is Not; Elizabeth Shown Mills, What’s the Evidence? How to Probe Documents Beyond the Obvious. 20 July 2017, Darryn Lickliter, The DAR Library: Resources for Genealogists (webinar), Association of Professional Genealogists (one hour). 31 July-4 August 2017, Researching Family in Pennsylvania (institute course), Historical Society of Pennsylvania (forty hours). 9-10 December 2017, I4GG (Institute for Genetic Genealogy) Conference, San Diego (recorded lectures): CeCe Moore, Creating and Utilizing Genetic Networks in Your Research (one hour); CeCe Moore, Breaking Down Genealogical Brick Walls Using AncestryDNA (one hour); Rob Warthen, Using DNAGedcom’s GWorks (one hour); Angie Bush, Power Tools for the Genetic Genealogist (one hour); Katie Welka, Furthering Your Research with LivingDNA (one hour); Hillary Vance, Tracing Your DNA Across the Ages with 23andMe (one hour); Jim Brewster, What’s New at Family Tree DNA? (one hour); Blaine Bettinger, Visual Phasing How-To (one hour); Blaine Bettinger, The Limitations of Cousin Matching (one hour); Kathering Borges, lineage Societies and DNA (one hour); Kitty Cooper, What’s New at GEDmatch (one hour); Leah LaPerle Larkin, Science the Heck out of Your DNA (one hour); Carol Isbister Rolnick, Tips and Tricks from the Genetic Genealogy Trenches (one hour); Kathleen Fernandes, The Priest and the Choir Girl: Searching for Family in an Endogamous Population (one hour). February 2016 (completion), Craig Roberts Scott, Continuing Genealogical Studies: Introduction to World War I Research (online course), National Genealogical Society (nine modules). March 2016, David Allen Lambert, Using New England Probate, Land, and Court Records (online course), New England Historic Genealogical Society (four and a half hours). 21 and 28 May 2016, Blaine Bettinger, Third-Party Tools for Genetic Genealogists (online course), Virtual Institute of Genealogical Research (seven hours). Unknown date May 2016, Jamboree DNA Day (six lectures), Southern California Genealogical Society (six hours). 17-33 July 2016, CeCe Moore, Blaine Bettinger, and others, Advanced Genetic Genealogy (institute course), Genealogical Research Institute of Pittsburgh (forty hours). 29 June-3 July 2015, Debbie Parker Wayne, CeCe Moore, and Blaine Bettinger, Practical Genetic Genealogy (institute course), Genealogical Research Institute of Pittsburgh (forty hours). 19-24 July 2015, Sharon Cook MacInnes and Michael D. Lacopo, Pennsylvania: Research in the Keystone State (institute course), Genealogical Research Institute of Pittsburgh (forty hours). 7 and 14 November 2015, Blaine Bettinger, Genetic Genealogy for Professional Genealogists, Virtual Institute of Genealogical Research (six hours). 20-25 July 2014, Judy G. Russell, Richard G. Sayre, and Marian L. Smith, Law School for Genealogists (institute course), Genealogical Research Institute of Pittsburgh (forty hours). 31 July 2014 (completion), DNA and the DAR: Using DNA as a Piece of the Evidence for a DAR Application (online course), Daughters of the American Revolution (five modules). October-November 2014, Robert Charles Anderson, Puritan Pedigrees: the Deep Roots of the Great Migration to New England (online course), New England Historic Genealogical Society (ten hours). December 2014 (completion), Craig Roberts Scott, Continuing Genealogical Studies: Researching Your Revolutionary War Ancestors (online course), National Genealogical Society (eight modules). 22-26 July 2013, D. Joshua Taylor, Richard G. Sayre, Craig Roberts Scott, and Paula Stuart-Warren, Bridging the 1780-1840 Gap: from New England to the Midwest (institute course), Genealogical Research Institute of Pittsburgh (forty hours). 8 May 2012, Melinda Lutz Byrne and Thomas W. Jones, Writing for Genealogical Journals and Editing Your Own and Others’ Genealogical Writing, BCG Education Fund Workshop (eight hours). 19 May 2012 (completion), DAR Genealogical Education Program: Course 1—Introduction to Genealogy Research for DAR Applications (online course), Daughters of the American Revolution (seven modules). 10-15 June 2012, Paul Milner, Tracing Your English Ancestors (institute course), Samford University Institute of Genealogy and Historical Research (forty hours). 1 July 2012 (completion), DAR Genealogical Education Program: Course 2–Applying Genealogy Research Techniques to DAR Applications (online course), Daughters of the American Revolution (nine modules). 13 July 2012 (completion). DAR Genealogical Education Program: Course 3—Advanced Techniques for Resolving Problems with Lineage or Service on DAR Records, Daughters of the American Revolution (eleven modules). April 2011 (completion), ProGen 5, ProGen Study Program (eighteen-month program). 10 May 2011, Barbara Vines Little, Working with Documents: From Discovery to What Comes Next and Sharon Tate Moody, In the Law Library: a Workshop on Legal Research for Genealogists, BCG Education Fund Workshop (eight hours). 12-17 June 2011, Thomas W. Jones, Writing and Publishing for Genealogists (institute course), Samford University Institute of Genealogy and Historical Research (forty hours). 27 April 2010, Pamela Boyer Sayre, Synchronized Research and Reporting, and Kip Sperry, Reading Early Handwriting, BCG Education Fund Workshop (eight hours). 13-18 June 2010, Elizabeth Shown Mills, Advanced Methodology & Evidence Analysis (institute course), Samford University Institute of Genealogy and Historical Research (forty hours). May 2009, Transcribing, Extracting, and Abstracting Genealogical Records (online course), National Genealogical Society (eight lessons). Various dates, American Genealogy: Home Study Course, graded (correspondence course), National Genealogical Society (sixteen lessons).